Unlike domestic rabbits, which can vary in size from 2 to 20 lbs. and bear fur in a wide range of colors and patterns, most wild rabbits in the United States are cottontails, which are brown with white tails and weigh about 2 lbs. Like their larger cousins, hares, cottontail rabbits nest in hollows, while European common rabbits live in underground warrens, which are communities of adjoining underground burrows, but prepare separate burrows for their young. Cottontail rabbits often hide their nests in plain view - sometimes even in the middle of a suburban back yard, vulnerable to lawnmowers and pets. The rabbit will scratch out a depression in the ground and line it with grass, straw and fur that she plucks from her chest. After giving birth, the mother will cover the nest with twigs and then return only briefly at dawn and dusk each day to feed the babies. The wild jackrabbits of western North America actually are not rabbits at all, but several strains of wild hare. Hares are larger and have longer ears and legs than rabbits. Also unlike rabbits, hares hop instead of run, flee predators instead of hiding from them and give birth to furry, open-eyed young instead of the blind and naked newborns produced by rabbits. Like cottontails, jackrabbits and hares take shelter in hollows in the ground or in vegetation, instead of underground burrows. 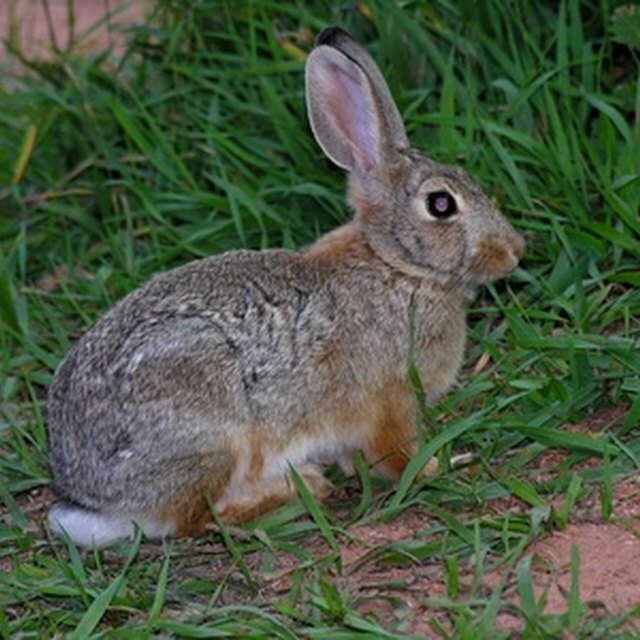 Jackrabbits do not build nests in preparation for birth; however, their babies, called leverets, are born independent, already covered with fur and able to hop and to see. The European common rabbit, Oryctolagus cuniculus, is primarily gray with white fur on its underside. 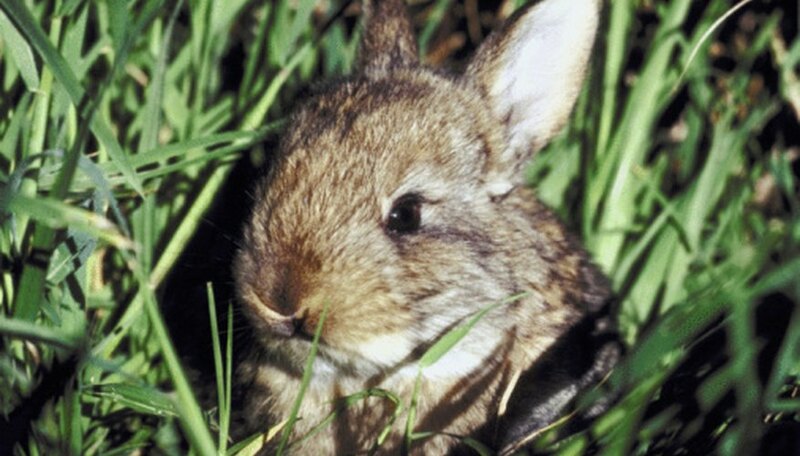 Unlike the cottontail and the hare, this wild rabbit lives with other rabbits in a warren. A female does not keep her babies in the warren, but she digs a new burrow for them some distance from the warren and lines the babies' burrow with straw, grass and fur plucked from her chest. Whenever she leaves, she closes the entrance of the burrow with dirt to protect the babies inside. Every year animal shelters field numerous reports of abandoned nests of baby rabbits. Possibly to reduce the chance of predators finding her young, a mother rabbit covertly visits her nest only twice each day to feed her young. This means the babies are usually alone and may appear abandoned. If the mother is still caring for her young, however - and she usually is - human intervention is unnecessary and probably harmful. Newborn rabbits usually die without their mothers, regardless of the quality of surrogate care. Unless the mother is, in fact, dead or the babies appear distressed or threatened, experts recommend leaving the babies and their nest undisturbed. Note also that people should not handle wild rabbits since they often carry disease and parasites, and a mother rabbit will not abandon babies that have been handled. Bishopp, Kristie. "Nesting Habits of Wild Rabbits." Sciencing, https://sciencing.com/nesting-habits-wild-rabbits-8471424.html. 13 March 2018.